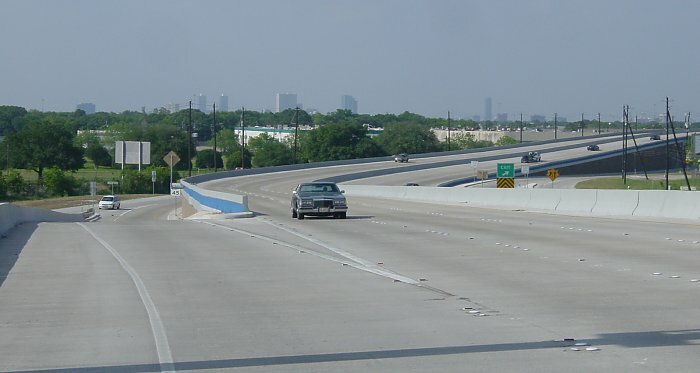 TexasFreeway > Houston > Photo Gallery > US 90-Alternate (90A) "Mini-freeway"
In October 2001 Houston's first section of "mini-freeway" opened on US 90-Alternate, also known as South Main. 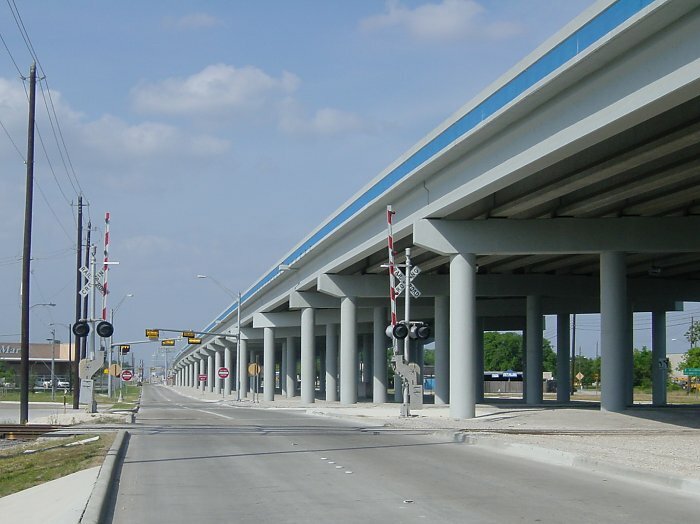 To clarify the terminology, a "mini-freeway" is a non-access controlled facility with no traffic lights, grade separations at major intersections, and a center barrier. In Ontario, Canada, such a facility is called a RIRO, or right in, right out. I really think 90A should have been upgraded to a full freeway, but that would have required major right-of-way acquisition and much greater cost. 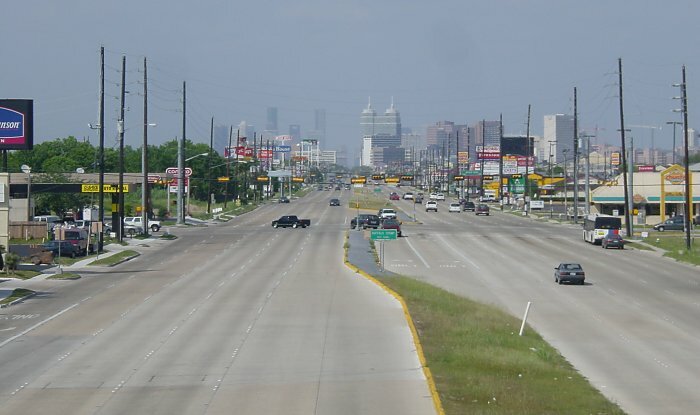 The mini-freeway will probably get the job done, but will be put under increasing strain as a relief valve for the Southwest Freeway, and it will pick up a lot of traffic coming off the upcoming Fort Bend County Tollway. 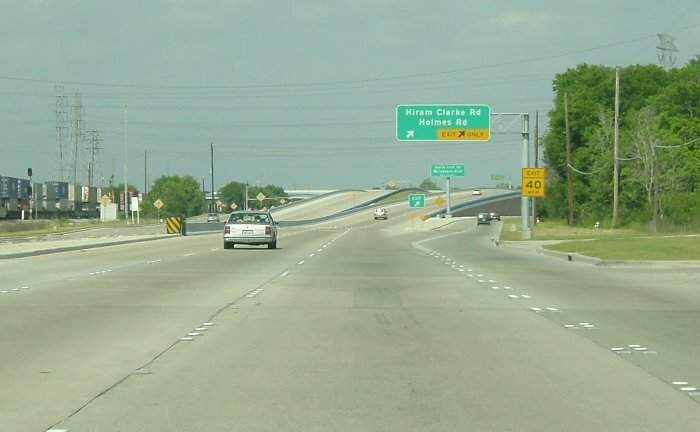 Work is currently underway to extend the mini-freeway westward to Beltway 8. 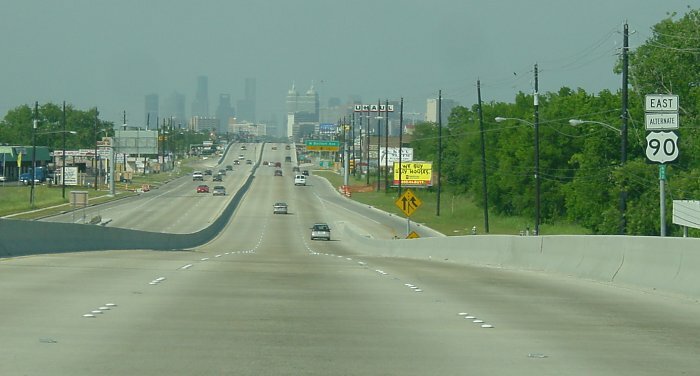 There are no other mini-freeways planned for Houston other than 90A. A. Drivers view going eastbound at the beginning of the mini-freeway at Hiram Clark Road. B. Approaching the Hiram Clark overpass. C. (click for high resolution) Just east of Hiram Clark, 90A curves northward and crosses the railroad tracks. D. Views looking north from just north of the railroad tracks. 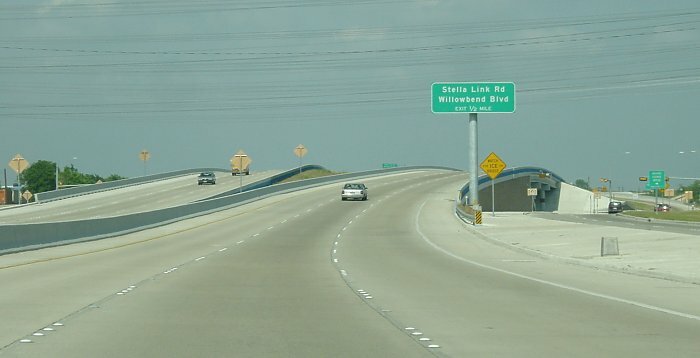 The top view is on the southbound side, the bottom view is on the northbound side. E. The elevated structure at Stella Link. F. Driving on the elevated structure, northbound. 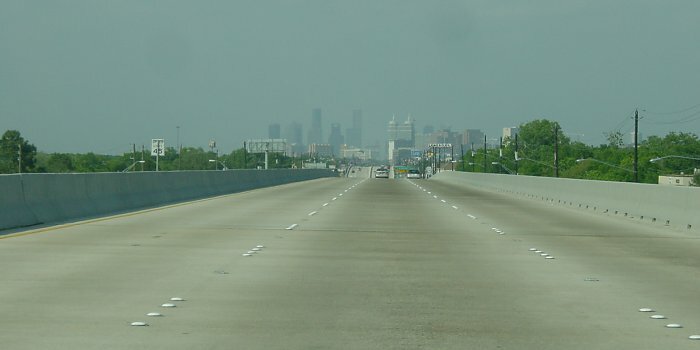 Notice that there is no emergency lane. 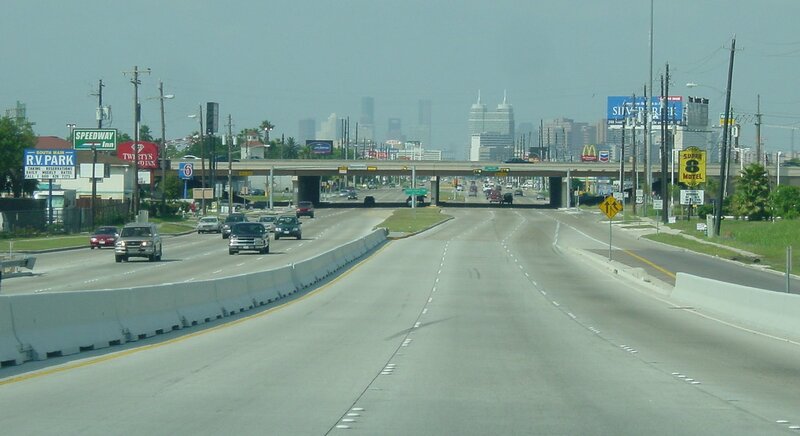 I think the designers deliberately kept the roadway narrow to remind drivers that this is not a true freeway. 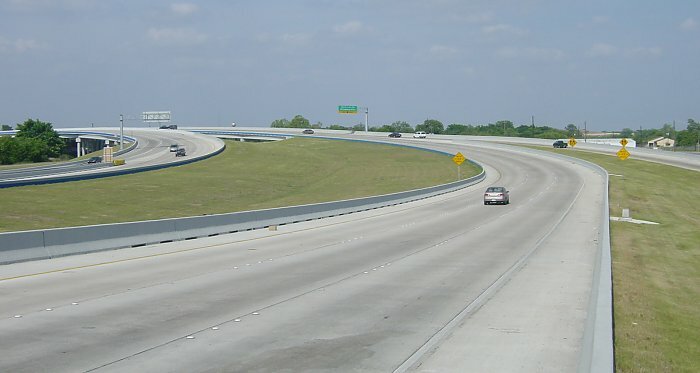 The lack of emergency lanes provides a clausterphobic effect, probably causing motorists to drive more slowly. G. On the downgrade from the elevated structure. 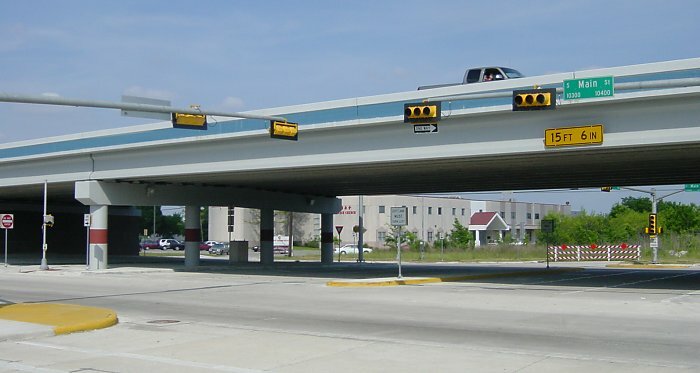 H. Side view of an overpass. I. 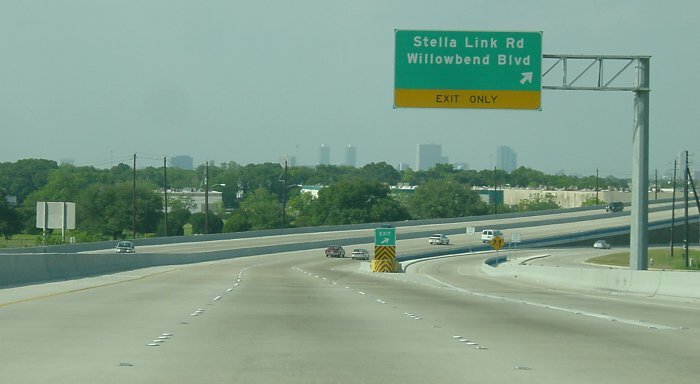 (click for high resolution) Approaching Loop 610, the end of the mini-freeway. J. (click for high resolution) North of Loop 610, 90A is an 8-lane boulevard.